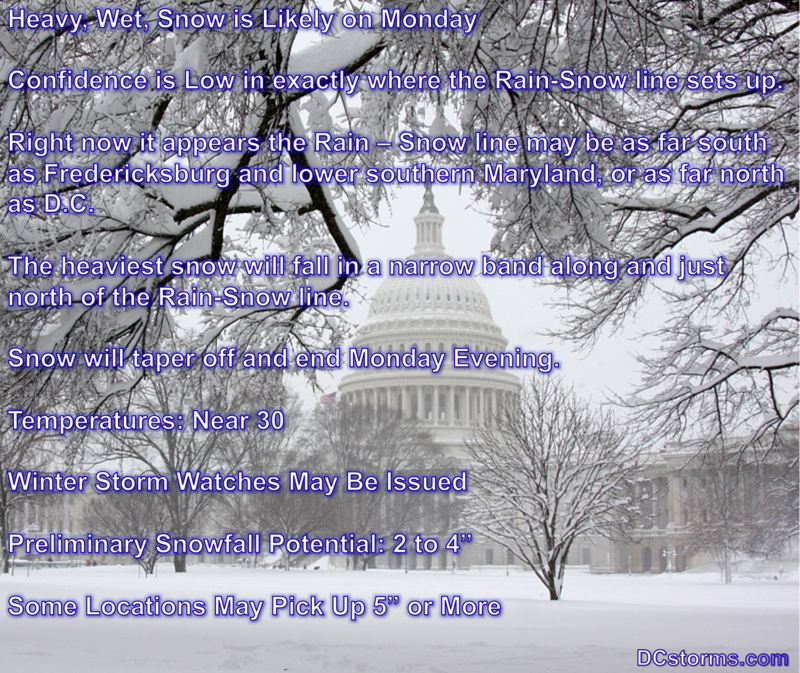 Winter Storm Watches may be issued by the National Weather Service late this afternoon or overnight as heavy, wet, snow is appearing likely for portions of the Washington Area on Monday. 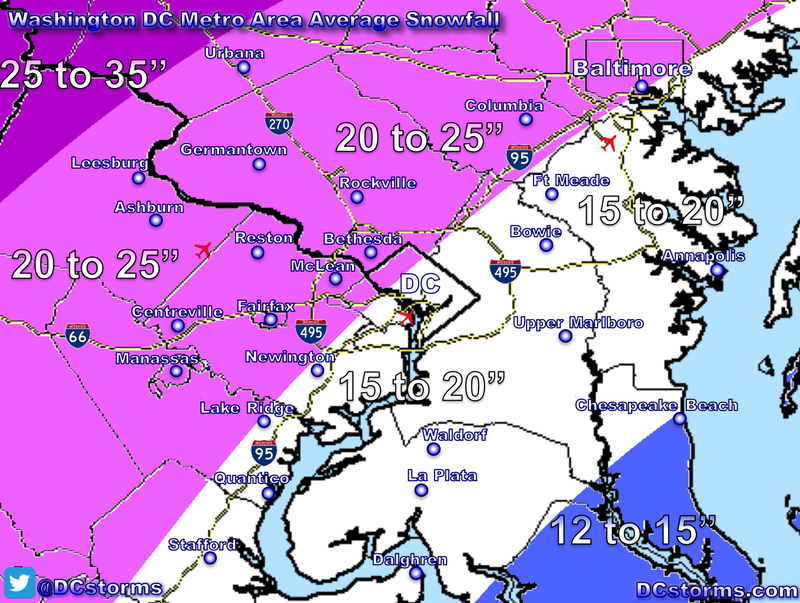 The main computer models currently are not in agreement as to where exactly the rain-snow line sets up. The NAM (North American Model) keeps the rain-snow line well south of the DC Area with the heaviest amounts occurring between DC and Fredericksburg. The GFS (Global Forecast System) and European models are a bit further north with the rain-snow line very near downtown D.C. The models will hopefully begin to converge on a solution which will in turn increase confidence in where this rain-snow line sets up. 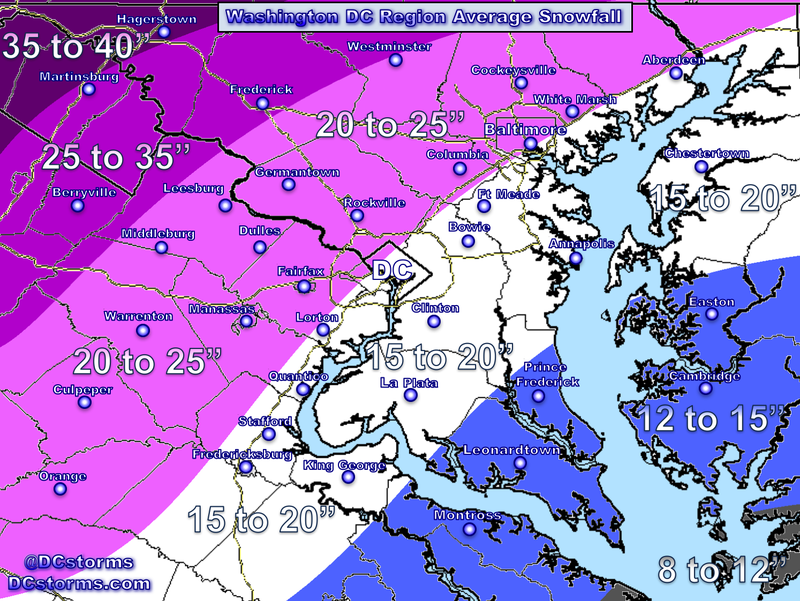 Locations within 15 to 20 miles along and north of the rain-snow line may end up with snowfall totals in excess of 5″. This will be a very wet snow, coating trees and power lines and locations that do pick up 5″ or more could have sporadic power outages as some tree branches may snap under the weight of the snow.